Today is International Childhood Cancer Day. Childhood cancer is the #1 disease killer of children in the U.S.. Only 4% of all cancer research money goes towards childhood cancer and we think this is unacceptable! So, we are taking matters into our own hands and have created "Tava Hope Pins"
Our Concept and why enamel pins? 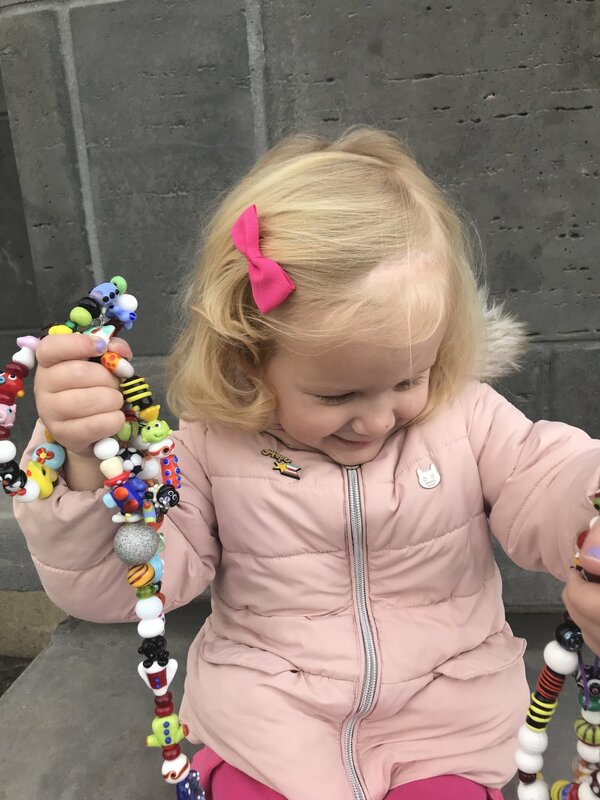 While Ava was in the hospital she received a bead every time she had to do something "hard" such as: finger prick, surgery, chemo, injection, the list goes on and on. She has several strands of beads measuring 1 meter long for all the "hard" stuff she had to go through. We wanted to somehow re-create this concept but in a positive way with enamel pins and represent all the good things that came from her cancer and spread awareness of this horrible disease. 100% of the proceeds will go to help families, foundations and research for childhood cancer. 4% isn't enough and we need to help. Please join us in the fight! How does this relate to Tava Adventures? Not all adventures are the same and not all adventures are 100% fun. When Ava was diagnosed with cancer our family decided that cancer was a new adventure and we were going face childhood cancer just like we face a new unknown travel adventure. Because of this, our girls loved the hospital and rarely talk negatively about Ava's cancer. For us and our family, adventure and cancer are the same and they are both a huge part of our life.